Embark on an animal adventure as we take you to the wild with games, music and movement, DIY food & craft activities and many more! to find out why integrating the performance arts —music, drama, and dance —into core subjects helps young children learn better across the curriculum. to understand how Arts-integrated teaching taps into children’s natural desire for active learning through the senses. 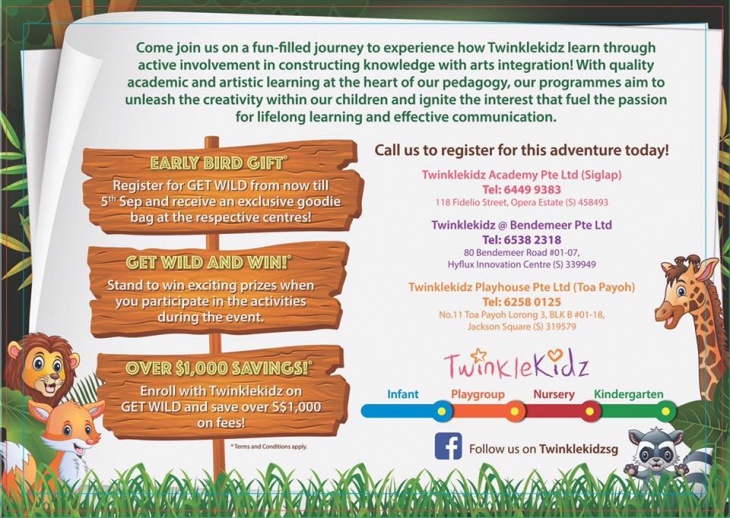 Contact us at 6449 9383 (Siglap), 65382318 (Bendemeer) or 62580125 (Toa Payoh) to learn more!